« Am I Dead? No, Not So Much! …I Think. 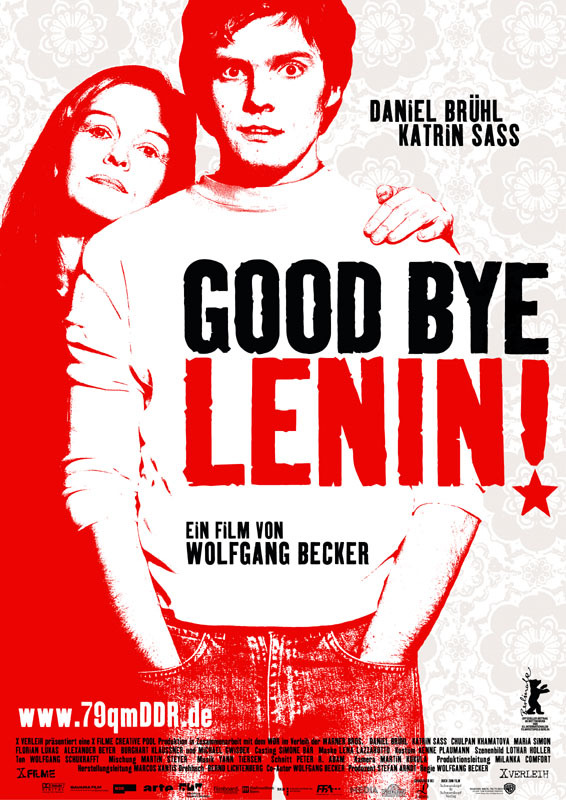 What do you do when you live in East Germany right as the Berlin Wall is going to fall and your devoted Socialist mother drops into a coma, only to awake after the fall of the Wall? Why, you lie to her and make everything like it was before. Alex is devoted to his mother, Christiane, who suffers a nearly fatal heart attack on the cusp of the fall of the Berlin Wall. She falls into an eight month long coma during which East and West Germany are slowly merging, and when she wakes up, the doctors inform Alex that he must prevent any strong excitement from entering his mother’s life, lest she suffer another heart attack. Knowing his mother’s devotion to the East German socialist cause, Alex determines to take her home and make it like nothing ever happened. Of course, with the influx of people, products and ideas from the West, this makes Alex’s decision none too easy, one that is not supported by his sister and her boyfriend, and one that often leads him to insane ends to convince his mother that her beloved country is still intact. With moments of comedy, like Alex buying Western foods at the supermarket and pouring the contents into the canisters of defunct Eastern foods, and poignancy, like when Alex and his sister realize his long-lost father who left the family years before is still close by, the film mixes the highs and lows of a family caught in an extreme situation nicely. It also is more than just the simple plot details, as the film takes an extraordinary situation to examine what an ordinary family has made of their collective lives. Overall, it’s a well done dramedy with a nice wrap-up at the end. I was thoroughly surprised by how much better it was than I was expecting. on June 12, 2008 at 4:22 am | Reply J.D. I LOVE this movie. The premise and the execution are completely admirable and excellent. Plus, it stars Daniel Brühl, who is AWESOME, and extremely cute, lol. I know! They could’ve easily gone awry with the whole “Convince Mom The Country’s Still Okay” but they took a lot of loose ends and tied them up neatly. Nice movie….! I like it..